The annual sports competition was organized at the University of Balmiki. 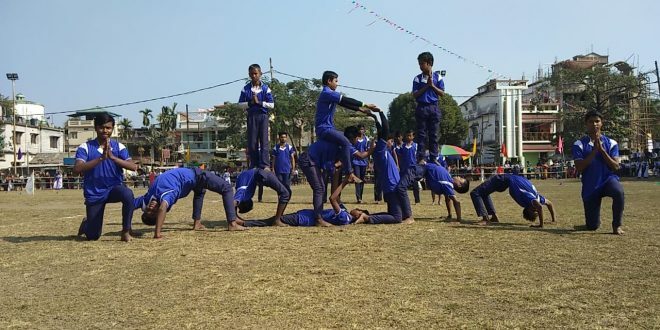 Sudipta Chakraborty inaugurated the competition by hoisting the flag and through a mock drill that was organized by the students. During this period, other dignitaries, including Dr PK Mishra and Principal of Surya Sen College Anup Das were present. In this competition, 600 students participated in 48 groups.